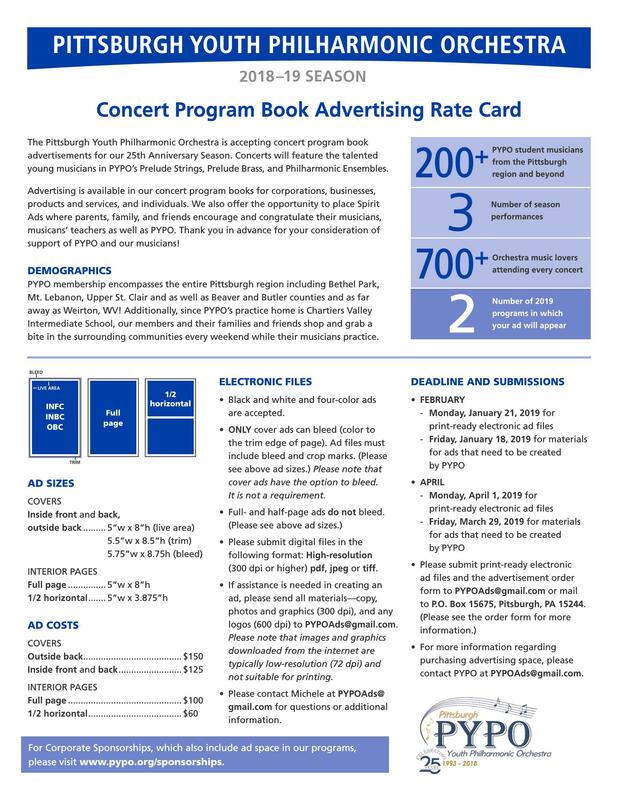 The Pittsburgh Youth Philharmonic Orchestra is accepting concert program book advertisements for our 25th Anniversary Season. Concerts will feature the talented young musicians in PYPO’s Overture Strings, Overture Band, Prelude Strings, Prelude Brass, and Philharmonic Ensembles. Advertising is available in our concert program books for corporations, businesses, products and services, and individuals. We also offer the opportunity to place Spirit Ads where parents, family, and friends encourage and congratulate their musicians, musicans’ teachers as well as PYPO. Thank you in advance for your consideration of support of PYPO and our musicians! PYPO membership encompasses the entire Pittsburgh region including Bethel Park, Mt. Lebanon, Upper St. Clair and as well as Beaver and Butler counties and as far away as Weirton, WV! Additionally, since PYPO’s practice home is Chartiers Valley Intermediate School, our members and their families and friends shop and grab a bite in the surrounding communities every weekend while their musicians practice. 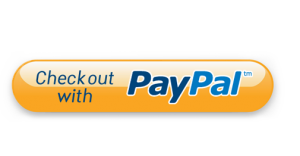 For more information regarding purchasing advertising space, please contact PYPO at PYPOAds@gmail.com.